When you hear the word retirement, what do you tend to think of? Do you dream of spending your days out and about, sightseeing as you please? Are you looking forward to sleeping in as late as you want? Do you maybe even have hopes of getting that vacation home and heading south for the winter? For many, retirement plans and goals are full of lazy days, no responsibilities, and no schedule. And while doing absolutely nothing for the first time in your adult life is definitely a well-earned reward some eagerly strive for, many others can find themselves a little let down as they equate that to having no purpose. If you find yourself feeling distraught, or maybe even flat-out depressed, at the idea of having nothing to do after your career ends, let us suggest a new definition for retirement. Retirement doesn’t have to mean you relinquish and withdraw from social significance. Retirement simply means you now have increased freedom for how you spend your time and finances. Retirement is not referred to as the golden years for nothing. It is a season of life where you have the freedom to make decisions without having your job dictate your choices. Gone are the days of stressing over how long you can be gone, being forced to limit your volunteering, or choosing between a vacation and a paycheck. This perspective will actually open many doors for you to stay active—maybe even become more active—if you choose to do so. Here are some possibilities you may not have thought of. This kind of dream job could be coaching a team, becoming a park ranger, hosting a class in a craft store, or maybe even running a niche catering service. When you are financially independent, as in retirement, low or infrequent pay doesn’t have to keep you from taking on a job that you truly love. Not everything worth doing in life results in a paycheck. But once again, that doesn’t matter once you’re retired! If you are dreading the thought of spending long hours at home, you may find more enjoyment in getting out and giving to your community. If you have ever felt guilty about spending long hours at work instead of with your family, now is the time to turn that around. Retirement is the perfect opportunity to invest your time into the younger generations of your family. Make yourself available to be a valuable support for them as they navigate their challenging midlife years. Take one-on-one day trips with a different family member each month. Set up coffee dates with your siblings. Be intentional about using this time to get to know your loved ones even better and to create some special memories they will cherish long after you are gone. Do you have grandchildren in daycare or after-school care programs? Do you think they would be better off with family during these times? Now you have the ability to make that happen! Many of us still hold onto fond memories of Grandma and Grandpa’s house. Even if it is only one day a week, your grandchildren will be forever impacted by the time you spend pouring into their young lives. There is a strong correlation between age and successful entrepreneurship, and the numbers are in your favor. (2) Middle-aged and older entrepreneurs experience much higher success rates than those who are younger. You could say your hard-earned life experience really does count for something! 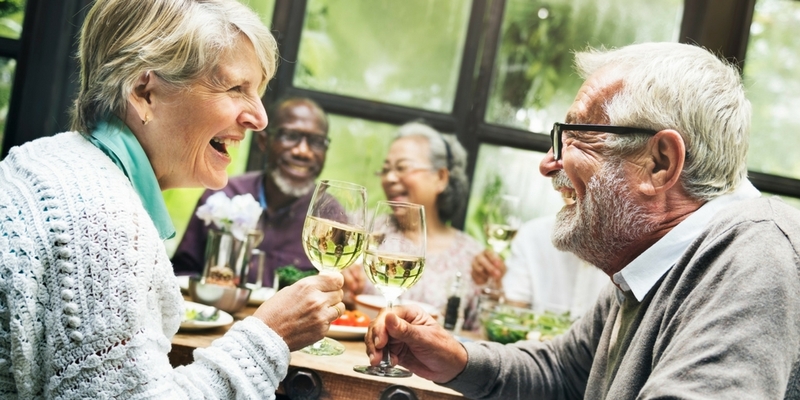 So, instead of seeing retirement as the end of your working life, it can actually be a rebirth—where you call the shots this time around. Whatever your retirement dreams are, whether it’s entrepreneurship, grandchildren, or frequent travel, we can help you get there. For over a decade, Strong Tower Associates has been helping people like you successfully plan for retirement, allowing for a smooth transition from earning a wage to living off of savings. If you would like the guidance of an experienced professional through these critical years of your life, get in touch with us today by calling 814-325-9806 or emailing hello@strongtowerpa.com. Or, if you prefer, you can now quickly and easily click here to request a meeting using our online system!